It's no secret, we enjoy arts and crafts time quite a bit. Lately, we've been trying our hand at all different kinds of tools and resources to step things up a notch. Take fuse beads, for instance–sure I've seen them advertised, and a quick visit to Pinterest will give you plenty of examples of how they can be used. The truth is, we've never personally given them a try, so I was excited to be recently introduced to a whole different kind of fuse bead product by Zirrly called Super Beads. 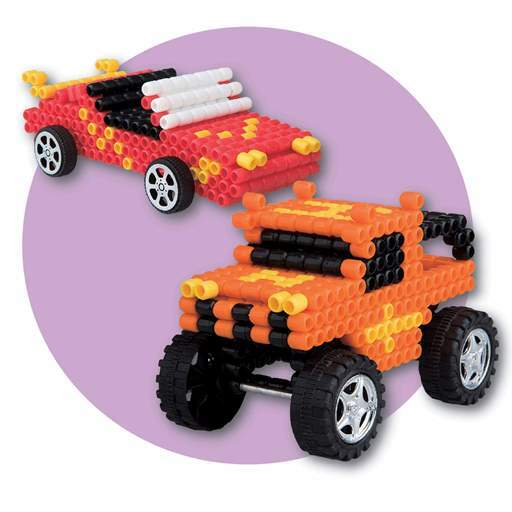 The company has all kinds of sets to choose from, even some that allow you to create 3D designs. 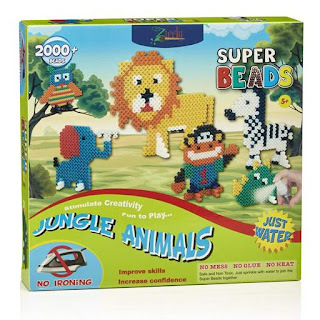 There's also a Super Beads Mega Pack that contains 4500 beads in all sorts of colors, along with twenty assorted design templates. We really liked the sound of their Jungle Animals kit, so this is the one we personally chose to try. One of the things that sets Super Beads apart from others like it, is the fact that these actually fuse together using only water. That's right! There's no need for heat or hot irons to get the job done. What does that mean for me and other parents out there? You've guessed it, the kids can do their own bead creations from start to finish without needing an adult to step in and do the actual fusing part. 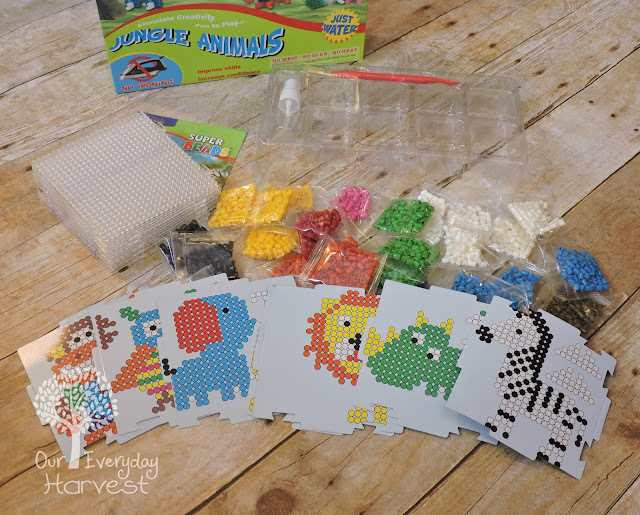 The Jungle Animals kit is super cute as you can see from the pictures. This particular set comes with templates to create six different creatures, a lion, rhinoceros, elephant, zebra, owl, and monkey. Each animal with the exception of the lion, can be done using one work board and template. 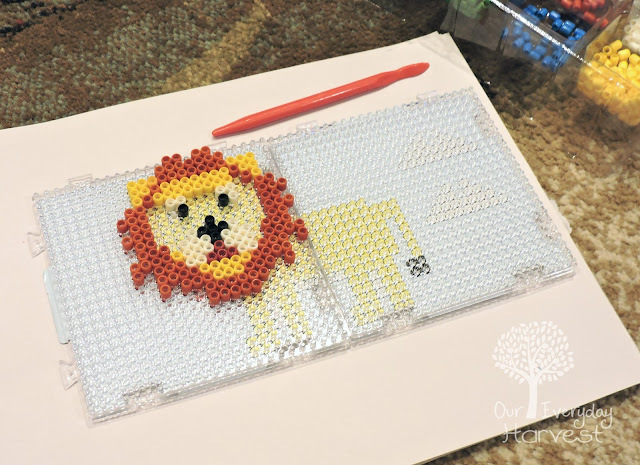 The lion is a bit larger, so it requires the use of two templates and two work boards put together, one for the front half of its body and one for the back half. It's really easy to connect the work boards when creating a larger project, because each board comes with small tabs and notches that allow them to snap into each other. 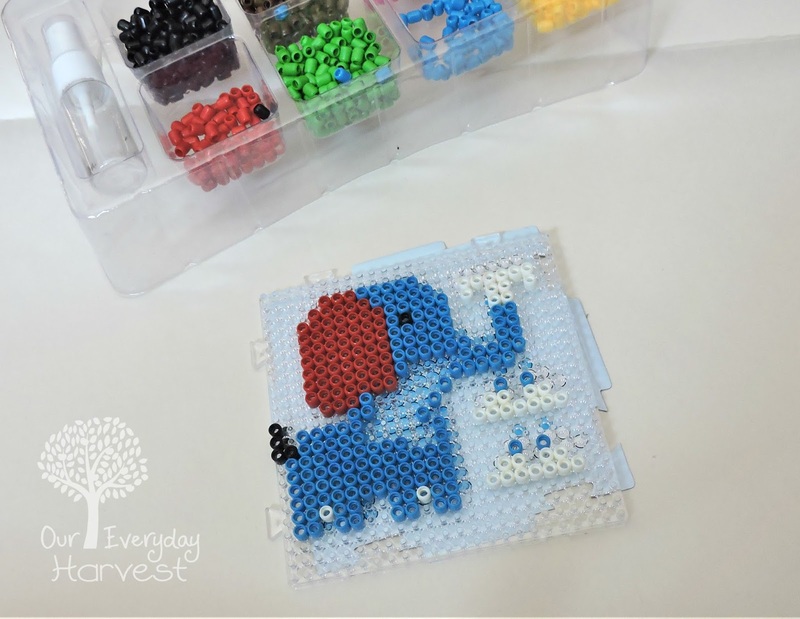 The best part is how simple it is to put together a fun bead craft using the accompanying templates and work boards. 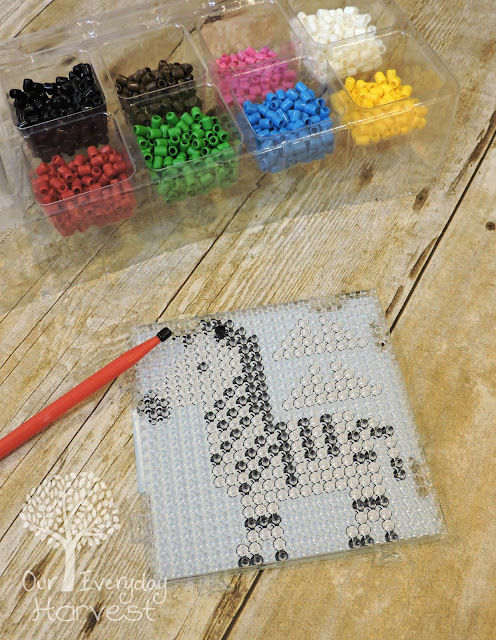 You simply place the template behind the clear, plastic work board, and then match the bead colors up with the template. 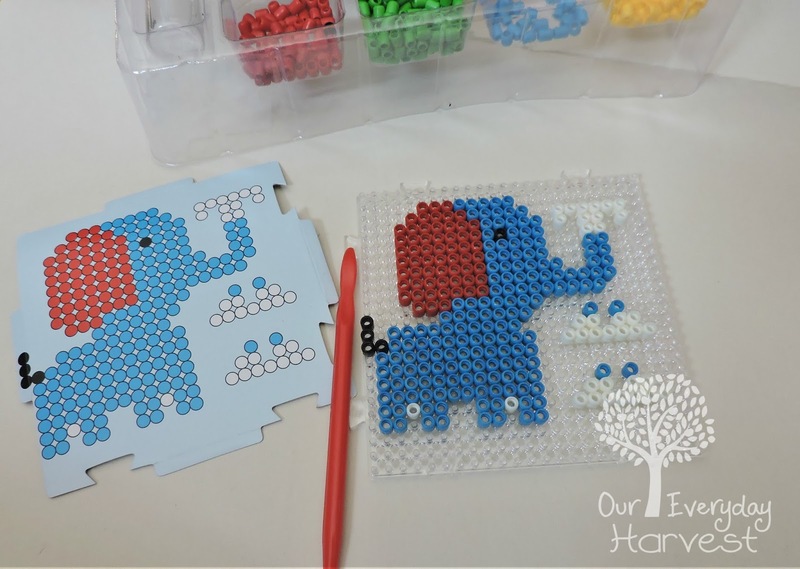 Once you have all of the beads placed on the board, use the supplied spray bottle (filled with water) to spray your design and allow it to set (dry). I appreciate how each bead is kept in place as you work through a project. 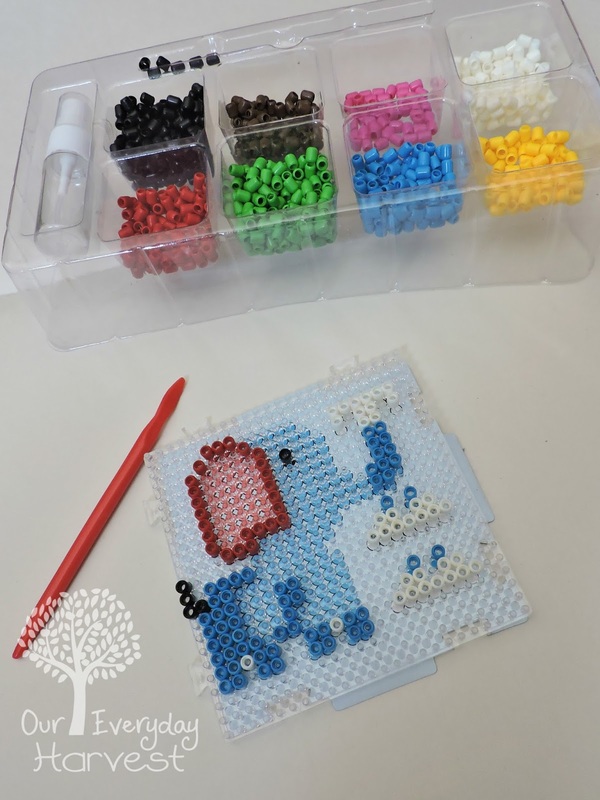 Older children five and up can do the project by themselves, but with the assistance of an adult, younger children can even get in on the fun, as well. My preschooler and I did the crafts together and he had tons of fun placing the beads on the work board in order to match them up with the colors on each template. I have to add, that not only does he have a lot of fun with these art projects, but they're also a great activity for his fine motor skills practice. 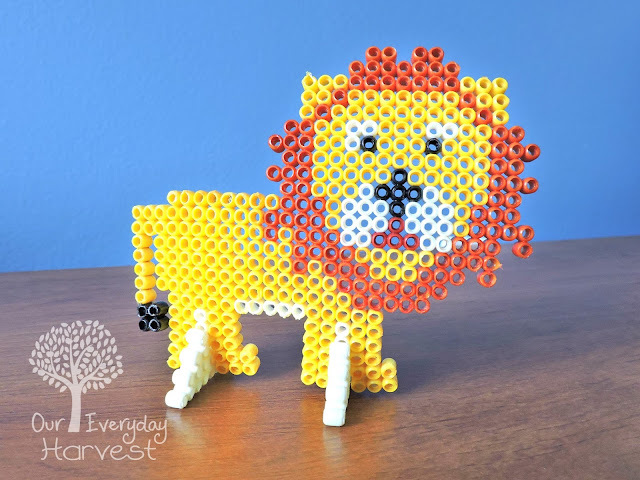 The only snafu that we encountered was when we were creating our lion craft using one of the little bags of orange beads. 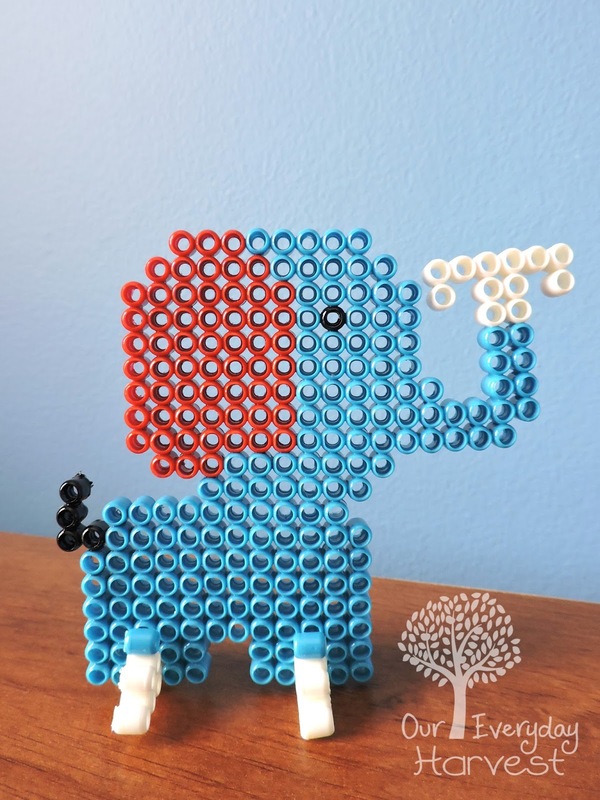 This one set of beads happened to turn our fingers...well...orange. 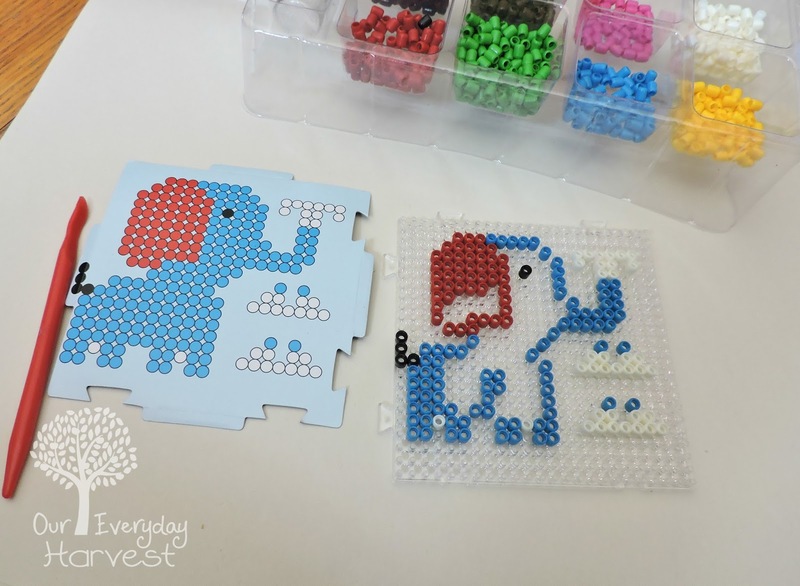 The directions clearly state that you must have clean, dry hands when putting your bead crafts together, and that was something we definitely made sure of each time we made one of our projects. Perhaps, there was a little defect in this one small bag of beads. The good thing is, the beads are completely safe and non-toxic, and the color washed right off our hands when we were done, so no harm, no fowl. Plus, the lion came out pretty nice! What do you think? The curing time for each bead creation is supposed to be sixty minutes, but I personally like to play it safe, so we usually let ours sit overnight. Removing each project from the work board once it's dry is super easy. The kit comes with a special design tool that has a flat end, so that we can carefully pry it off the board. We've had no problems with a finished product coming apart while doing so. The good thing is, if we ever do encounter an issue where a bead becomes loose, all we have to do is spray that area with a little bit of water and let it dry. 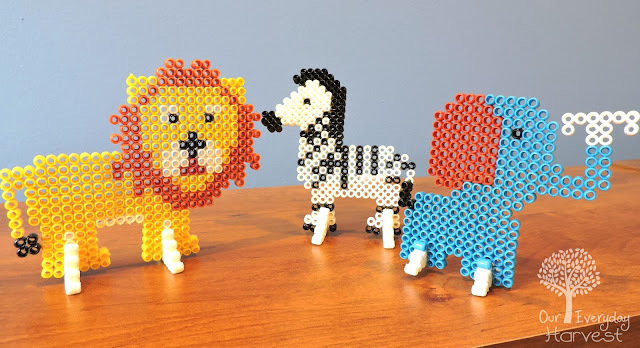 Initially, I had noticed that our bead creations were somewhat pliable even when completely dry, but after about a week of displaying them, they began to stiffen up and take more of a nice permanent shape. 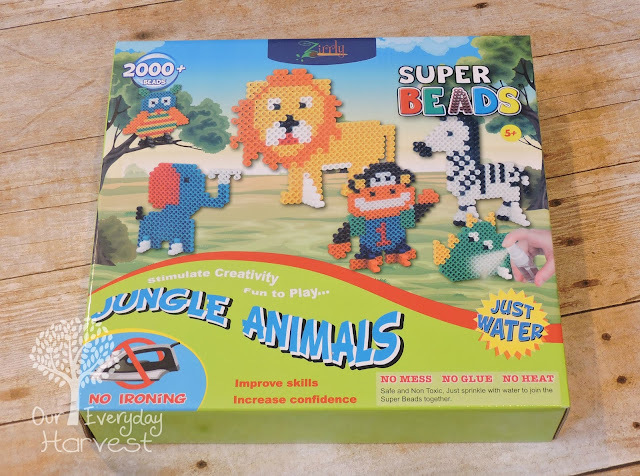 I've shown you some of the creations we've done using the supplied templates from our Jungle Animals kit, but did you know that Super Beads are so versatile that you can actually make your own homemade creations? On my blog, here, there were plenty of times when I had mentioned our love for marine creatures. I wanted to personally make something for my son (from me to him), so that he could display it in his nautical-themed room. 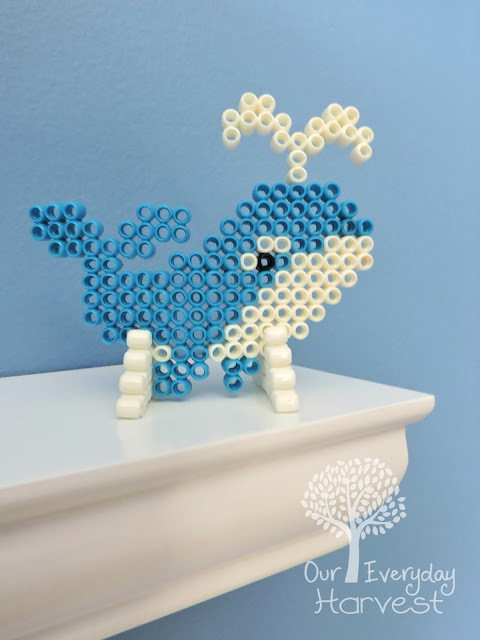 Using a little inspiration online and some creative trial and error, I was able to put together this adorable whale bead craft. Not being the most craftiest of people, I have to say that I was very proud of myself when I saw how well it came out. Even better, was my son's reaction when I had given it to him....he was elated! 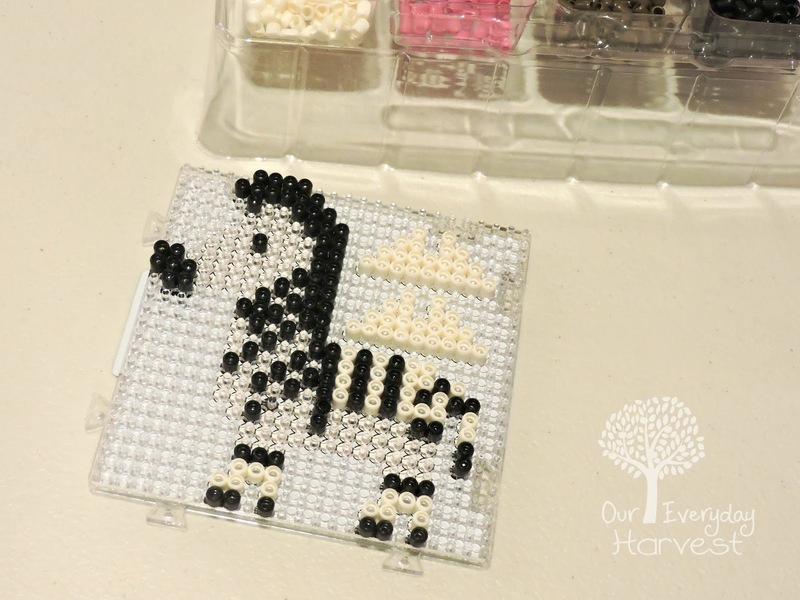 Now this may sound strange, but as I was helping my son put together his bead creations, placing the beads on the board felt almost therapeutic to me. It was kind of that same feeling you get from coloring in an adult coloring book. 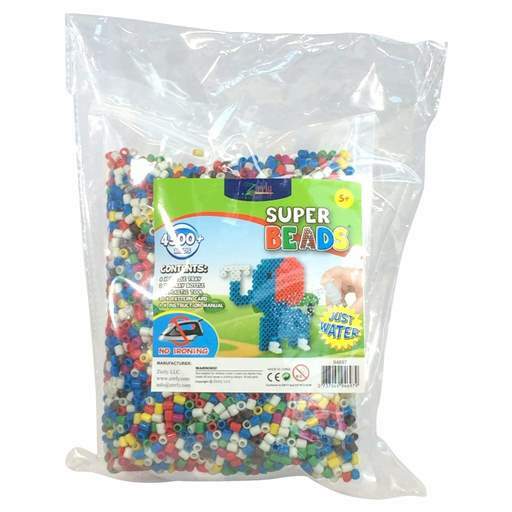 I guess this makes the Super Beads kits fun for both kids and adults. 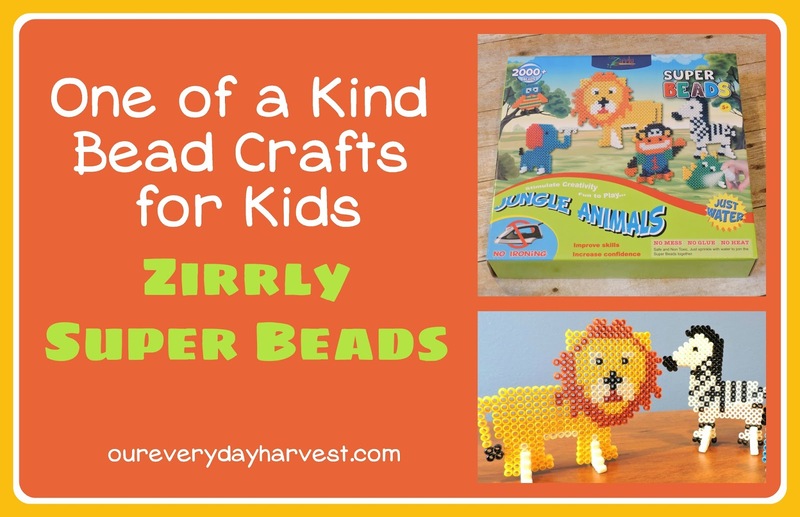 Final thoughts...we really enjoyed using Super Beads from Zirrly! Seriously, the kit was so easy to use and so much fun, the only downfall was that we didn't hear about it, sooner. 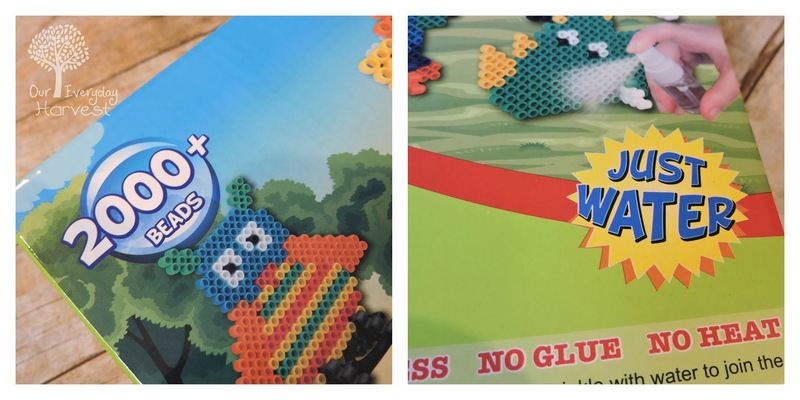 This product is definitely a keeper in our arts and crafts arsenal, and we can't wait to pick up more designs for future use.